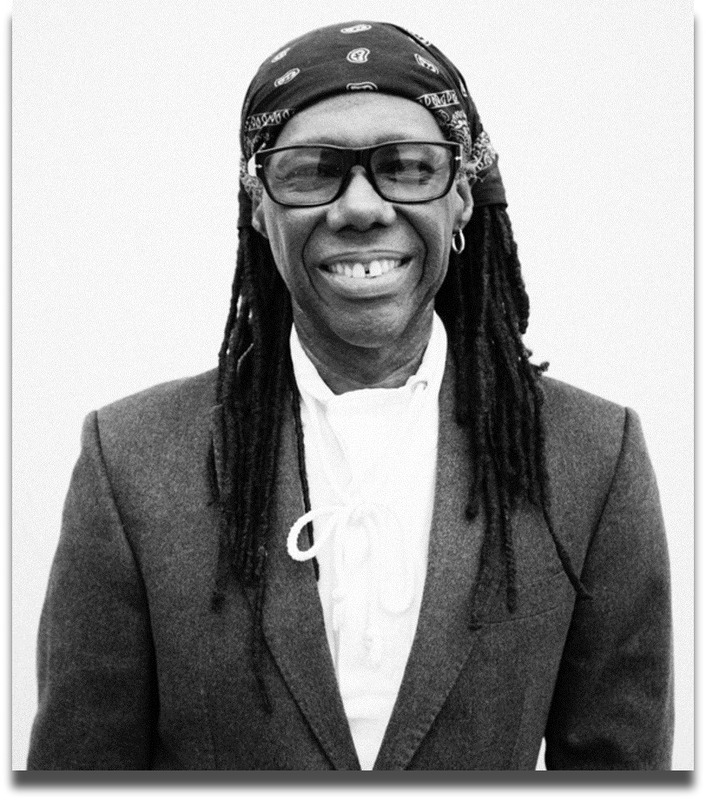 Longtime Westporter Nile Rodgers was a big winner at last night’s Grammy Awards. He was a co-writer of — and also performed on — Daft Punk and Pharrell Williams’ disco/funk song “Get Lucky.” It won Record of the Year. Alert “06880” reader Fred Cantor — who passed along this info — is impressed that the tune peaked at #1 last year on Billboard’s Dance chart (and #2 on the Billboard Hot 100 chart). He’s even more amazed that it happened 35 years after Rodgers co-wrote and performed on the #1 hit “Le Freak,” by his group Chic. Between the hits he wrote for Chic and Sister Sledge in the 1970s, the hit songs he then produced for David Bowie, Madonna, Duran Duran and Diana Ross among many others in the 1980s-1990s, and his recent success with Daft Punk and Avicii, I can’t think of any other artist who has had the kind of sustained, wide-ranging success he’s had at the highest level. Congratulations, Nile. Westport looks forward to seeing you at the 2049 Grammys — 35 years from now! 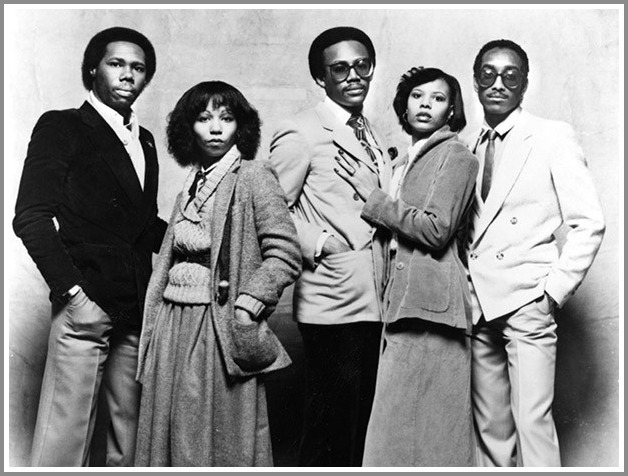 NIle Rodgers with Chic (“Le Freak”) — back in the day. This entry was posted in Entertainment, People and tagged Chic "Le Freak", Grammy Awards, Nile Rodgers. Bookmark the permalink. I had the honor of meeting Nile Rodgers last week (and have a photo of us to prove it!) at a fabulous event at the Fairfield History Museum. Very nice man! Freak Out was my favorite dance song in college in the early ’80s. There is a currently an exhibit at the museum honoring some of our local famous musicians like Nile Rodgers, Chris Frantz and Tina Weymouth and Jose Feliciano. …and it was an honor and a hoot to spend the evening with Nile. Jose and he had a great time –funny people, both of them…and may I say, brilliant artists, for sure. Last nite, Jose and our family watched the Grammy telecast and we all there cheering for Daft Punk/Nile Rodgers like were at the Super Bowl! TOUCH-DOWN! Congrats to you, BIG-TIME! Nile has his big We Are Family Gala in NYC where he raises funds to build schools around the world for the under privileged and supports Global Team Leaders, bringing them to the states. This year it was snowed out on the 21st of Jan. it is being rescheduled, date as yet unknown. Anyone interested can reach me at Martyb@prescients.com. I saw him years ago in Los Angeles walking down Melrose Ave. one Saturday evening and he stopped to talk to a bunch of fans. I stopped to listen and I couldn’t believe how nice he was to all of us. It was very refreshing with all the egos running around La La Land these days.